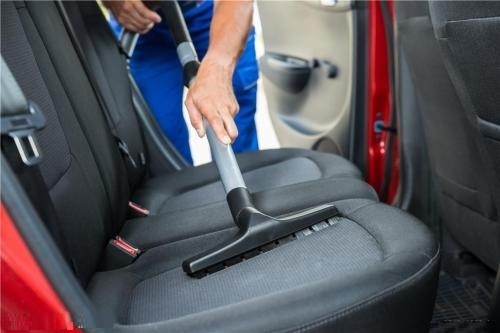 Topbest Car Grooming Centre has been providing top quality car wash, car polish and interior protection and cleaning services and much more for car owners from Petaling Jaya, Selangor and its surrounds. We use only quality products (authorised dealer for Meguiar’s products) to give your car a clean and polished finish. Customers enjoy peace of mind when they entrust their vehicles to our care. You will be a proud owner of a showroom quality vehicle after sending it to our centre for grooming. Getting to our car grooming centre at No. 135 Jalan SS19/6 in Subang Jaya is extremely fast and easy. If you are from the ‘old town PJ’ area, get on to the New Pantai Expressway from Jalan Gasing or Jalan Templer or if you are from Kelana Jaya, Seksyen 51A or SS9 areas, head on to the Federal Highway for Subang Jaya. At Subang Jaya, travel towards Persiaran Tujuan and USJ. Just before approaching the KESAS Highway, turn right on SS19/6. We are about 500 metres from this junction. While waiting for your car to be groomed by us, have your meal or indulge in some shopping at the vicinity of our centre. There are ample shops at SS19/6 or if you prefer more choice, take a GRAB taxi to nearby Taipan USJ, or Sunway Pyramid at Bandar Sunway, or Empire Shopping Gallery or Subang Parade at SS16 Subang Jaya. Do come and try out our hassle-free car detaling services today. Customer satisfaction is always our priority. Like our many satisfied customers, you are certain to return over and over again.